Complete your home interior with a touch of French Style with this beautiful White Antique French Style Mahogany Console Table. 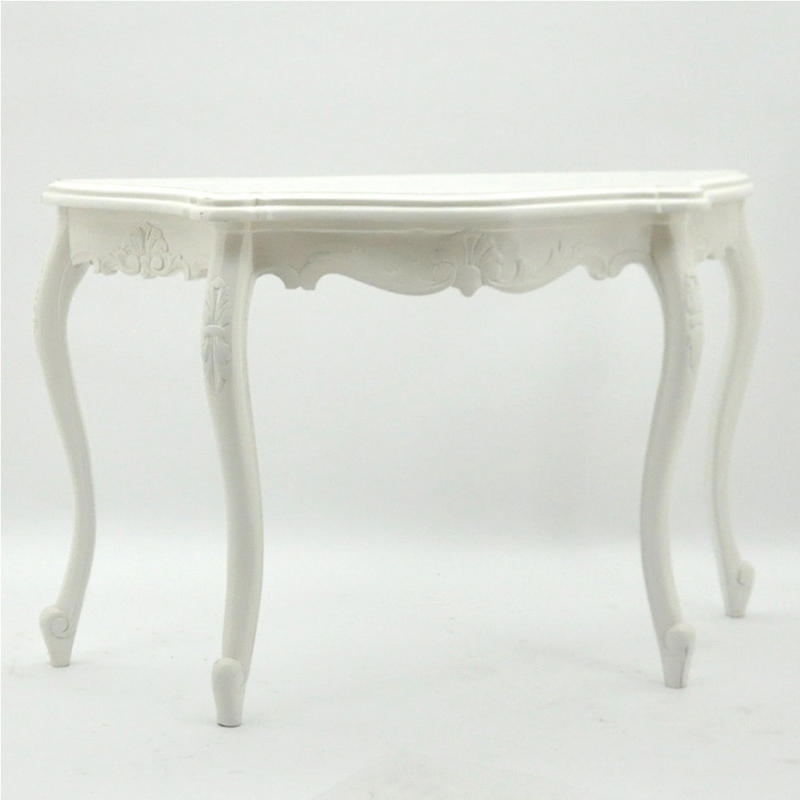 Complete in a white colour and featuring a detailed floral design on the console table it's made from Mahogany and will last a lifetime. The white exterior of the console table makes it easy to fit into any existing interior.